The Norwegian author Henrik Ibsen said that you need at least three lifetimes to see Rome and when you considered that Rome’s history spans over 2800 years it could taken five or six lifetimes to experience everything that Rome has to offer visitors, as well as residents. This small Italian 9th century BC village became an incredible civilization that dominated the region around the Mediterranean for centuries. Rome is a reflection of its long history, but it is also a complex contemporary city. The centre of Rome contains areas of ancient Rome; areas that were important in medieval times, as well as artistic treasures and places from the Renaissance. The centre also has churches, fountains and palaces from the Baroque era as well as Neoclassic, Art Nouveau, Rationalism and Modernism styles and designs. Rome is considered a living encyclopaedia, as well as living museum for the art and the culture of Western Civilization. Even with a history filled violence and war, Rome has withstood the test of time and destruction and emerged as a city in a class of its own. The population of the municipality is around 2.5 million in 496 square miles, but that figure increases to 3 million during the day when business workers enter the city to earn a living. The population of the metropolitan area is estimated at 3.7 million. 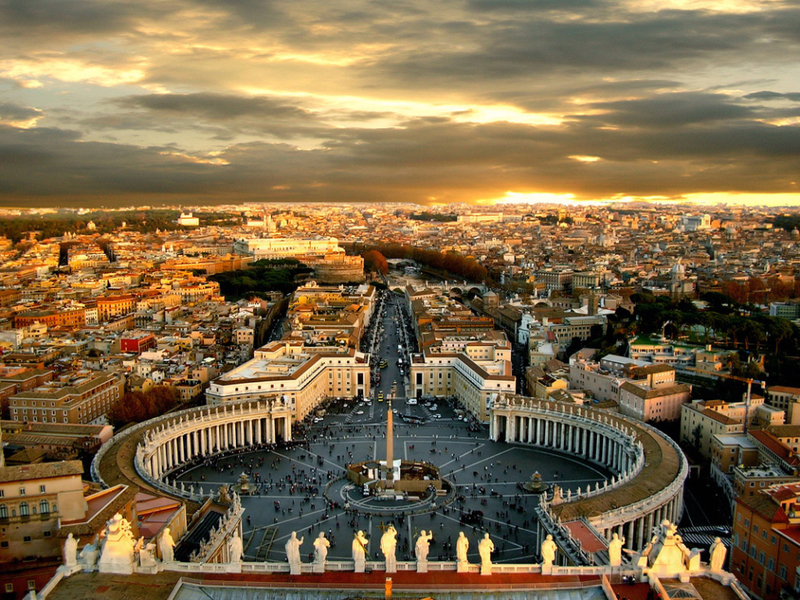 Rome has been the capital of Italy since 1870 and it is one of the most important tourist destinations in the world. There are hundreds of churches. The Vatican, known as the city within the city, is always busy and the museums, historic buildings as well as ruins and the panoramic views and magnificent villas of Rome keep tourists in motion each and every day. It seems everyone wants to see, as well as experience a part of their ancient past.